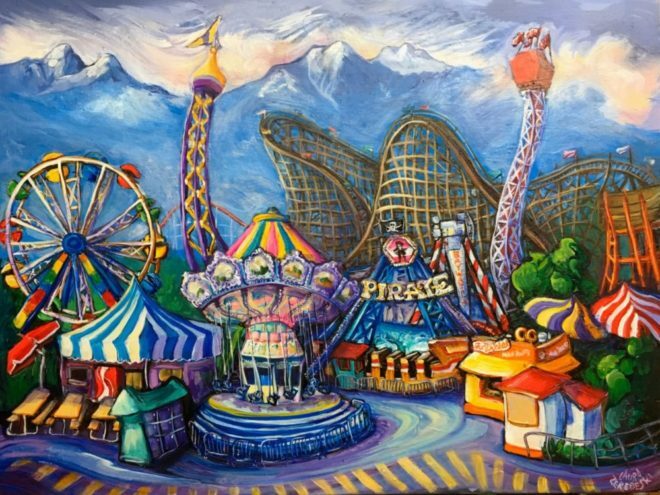 Like flying over Never Never Land at dusk. 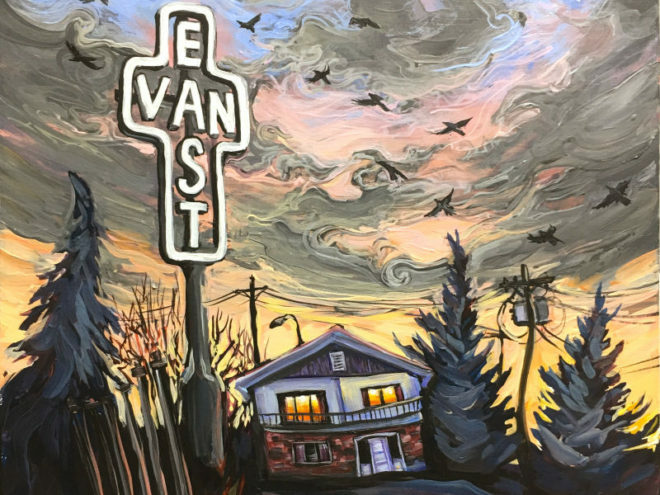 Icons of East Van: a Vancouver Special, the East Van cross, and exactly 13 crows flying overhead. 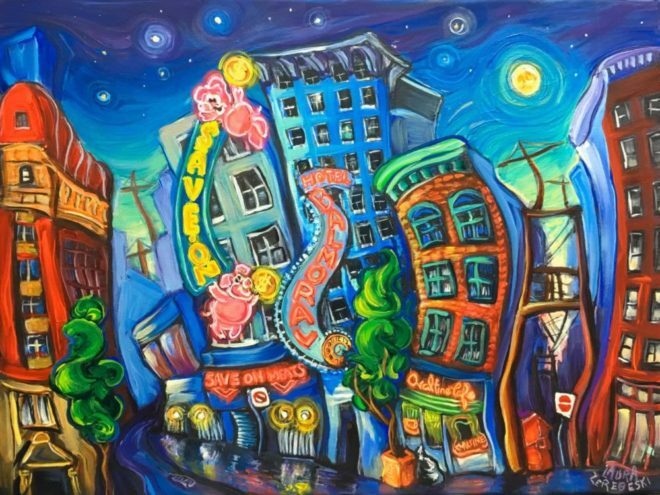 A synecdoche is a part that represents the whole. 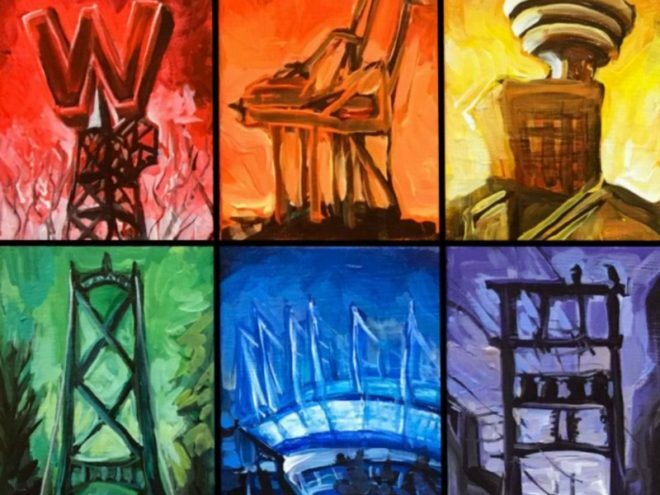 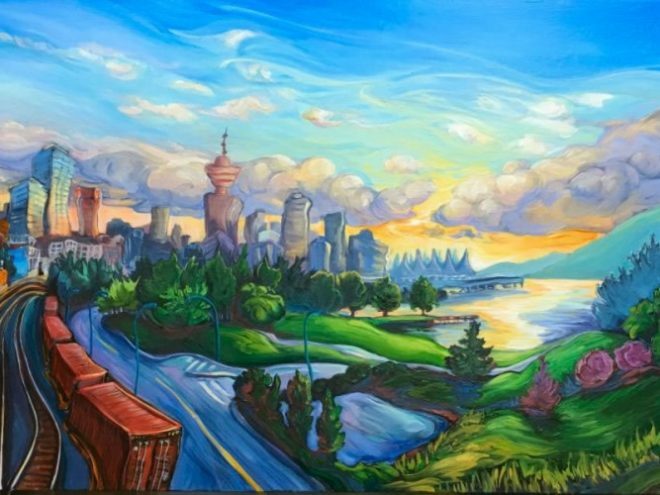 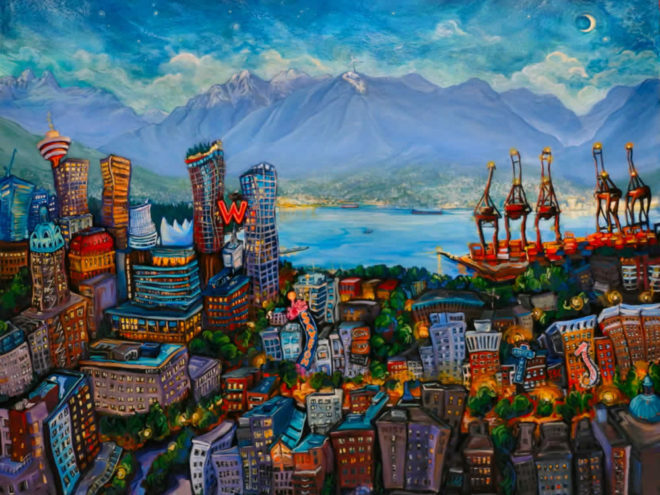 This is a rainbow of east and west side Vancouver landmarks. 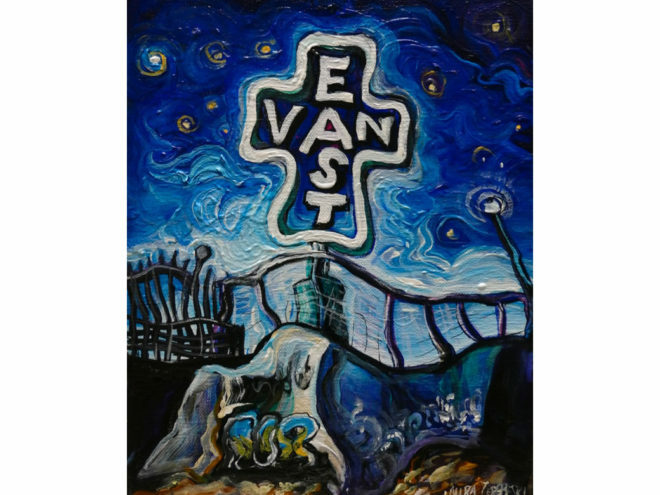 Nighttime, the East Van Cross, and graffiti symbols that hint at a colorful life. 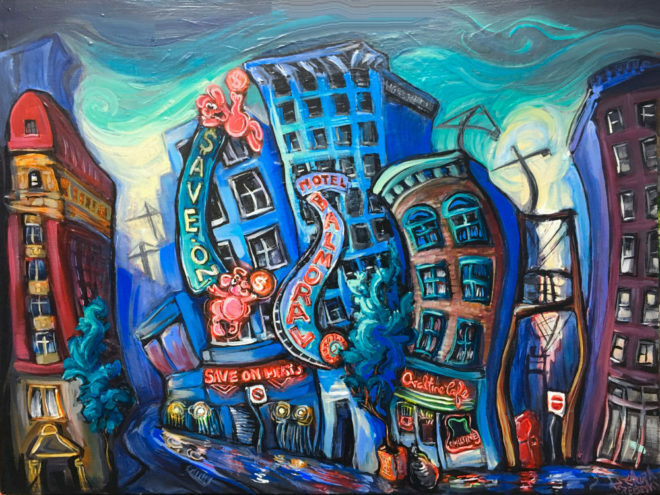 A truncated view of Hastings Street at night under a full moon. 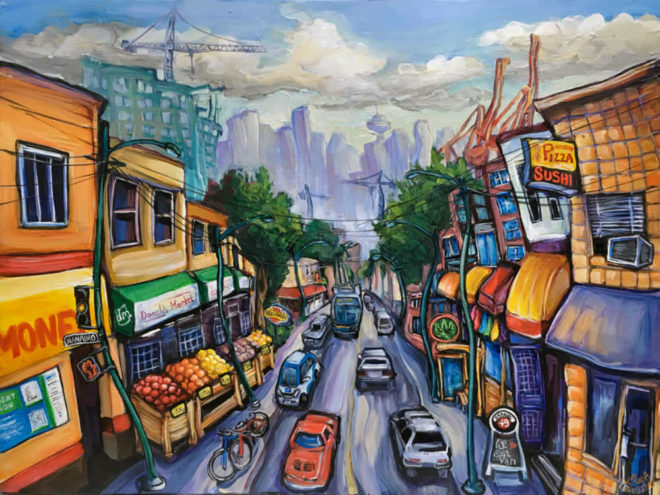 This is a truncated view of Hastings Street featuring the most beloved signs. 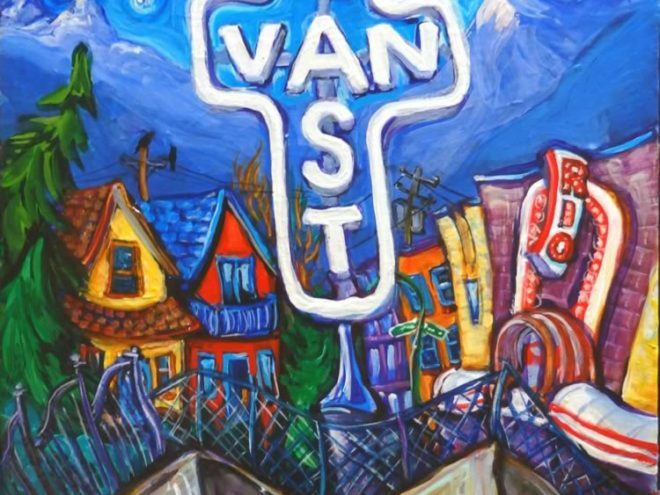 The East Van Cross is an emblem of light which is both a threat and a beacon.